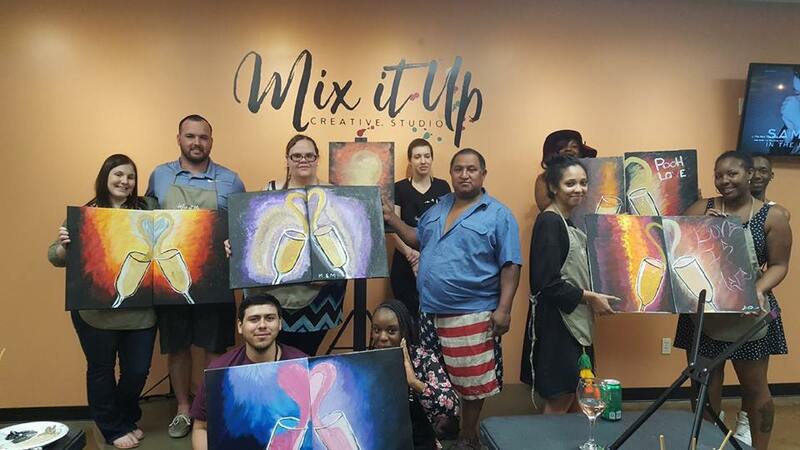 Events & Workshops | Mix It Up! We are an alternative to the traditional bar scene – a paint bar offering a relaxed and fun night out. 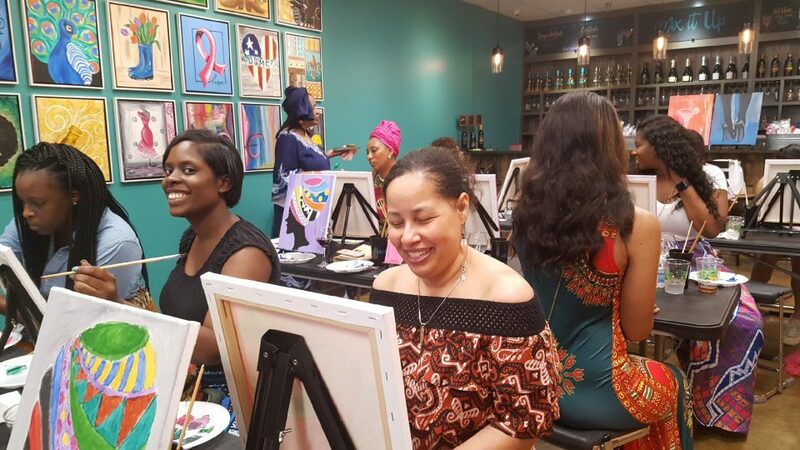 Our paint nights offer a new destination for Date Night, Girls’ Night Out, Moms’ Night Off or come alone and make new friends! No artistic experience is required to participate! 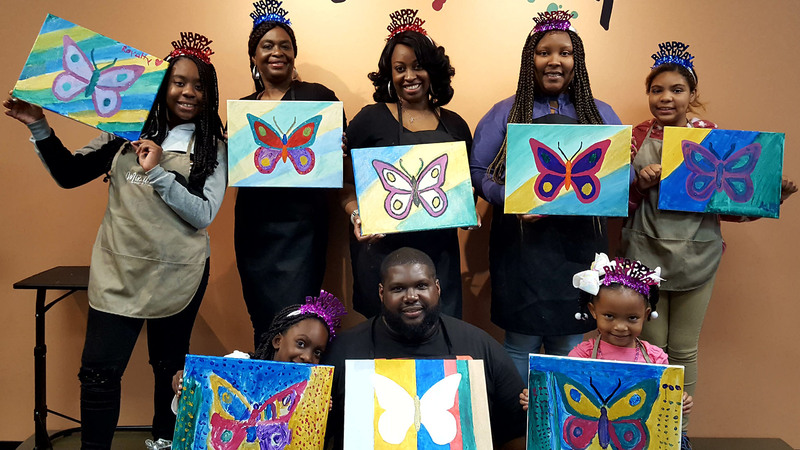 Take your date night further and paint the same painting – together! Our unique freestyle approach setting enable the creation of some awesome art. 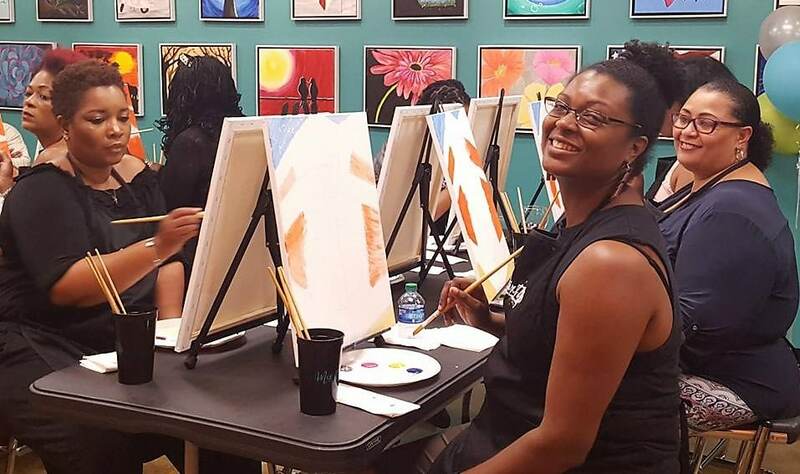 Together you paint with our local artists, always on hand to provide guidance so you both create something amazing. Some of your best memories will be of the time spent together as a family. What could be more fun than having some creative bonding time together? You can work together and create a piece that everyone will feel proud of or everyone can do their own creative pieces of art.